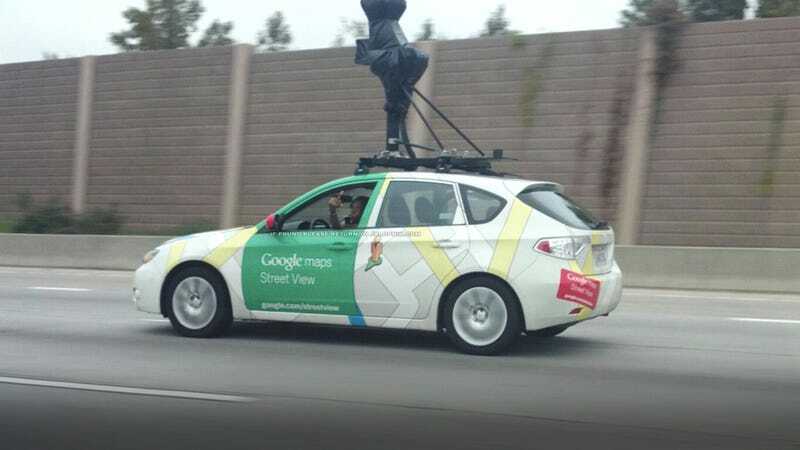 Google Street View drivers have a job to do. They're the Internet's eyes. But will they really flick you off in traffic? This photo being passed around the Internet indicates they will, but we think it's a Photoshop. What started this interaction is unclear, but it seems like the drive of this Google Street View Subaru isn't pleased with being photographed. The message seems to be that the watchers get a little testy when they're being watched, apparently. But this close-up from a Redditor seems to indicate this is a fake, as much as we all initially wanted to (and did) believe it was real. UPDATE:Turns out it wasn't real. We changed the headline and post text to reflect that. UPDATE 2: Or is it real?